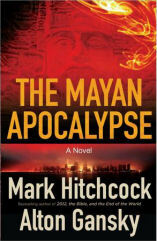 About the Book: On the heels of Mark Hitchcock’s prophecy bestseller 2012, the Bible, and the End of the World comes a suspenseful novel (coauthored with bestselling novelist Alton Gansky) about the supposed expiration date of planet earth—December 21, 2012. I received a copy of this book from the publisher. This is not a review, but a spotlight.